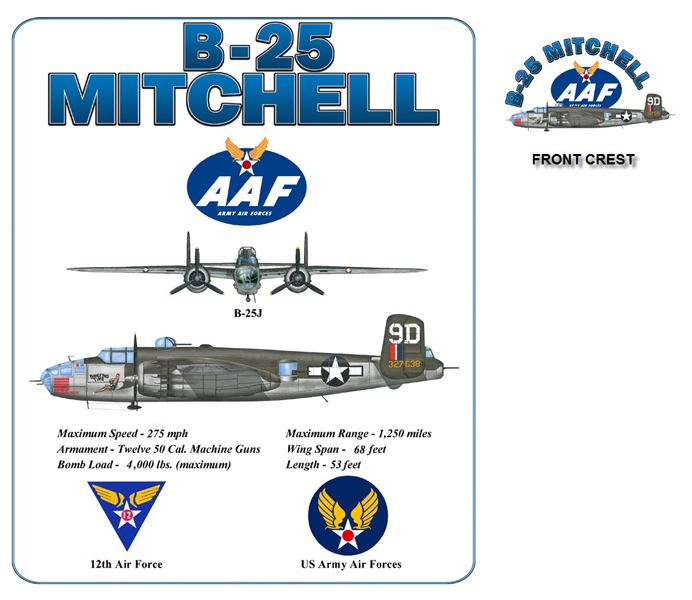 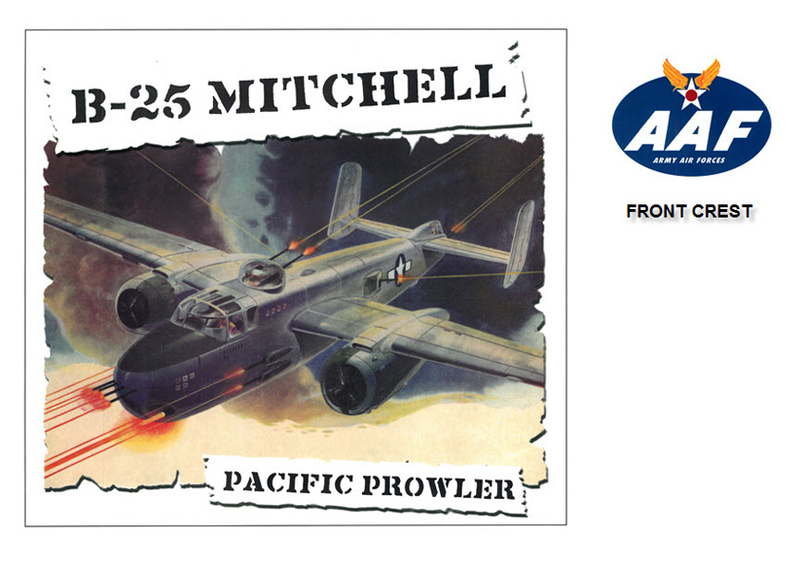 #264 - US Army Air Corps B-25 Mitchell bomber. 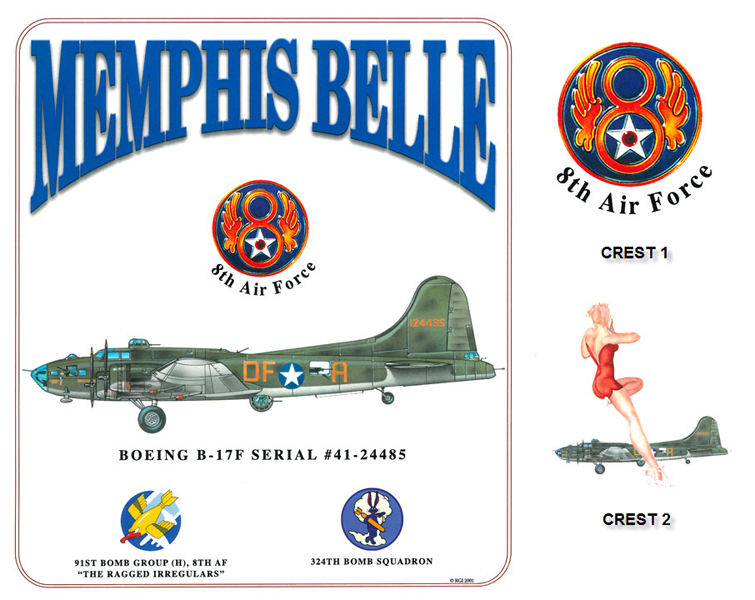 Design features WWII era art. 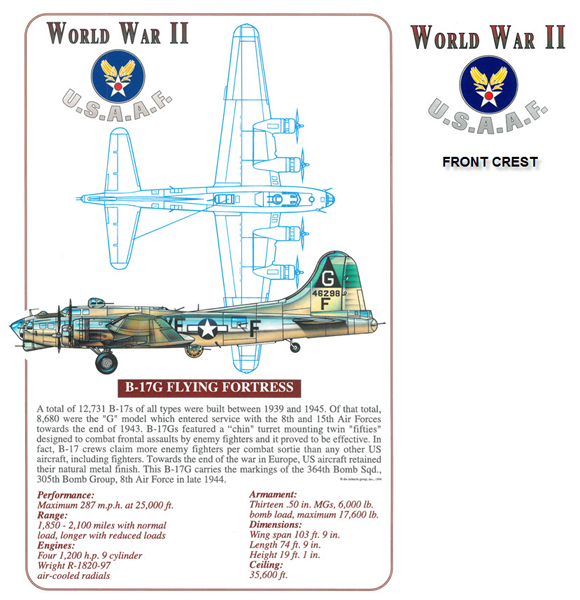 WWII USAAF emblem on shirt front. 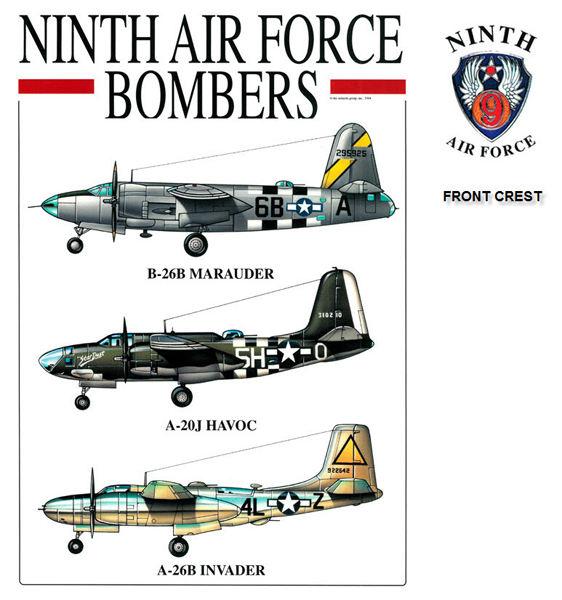 B-26 9th Air Force. 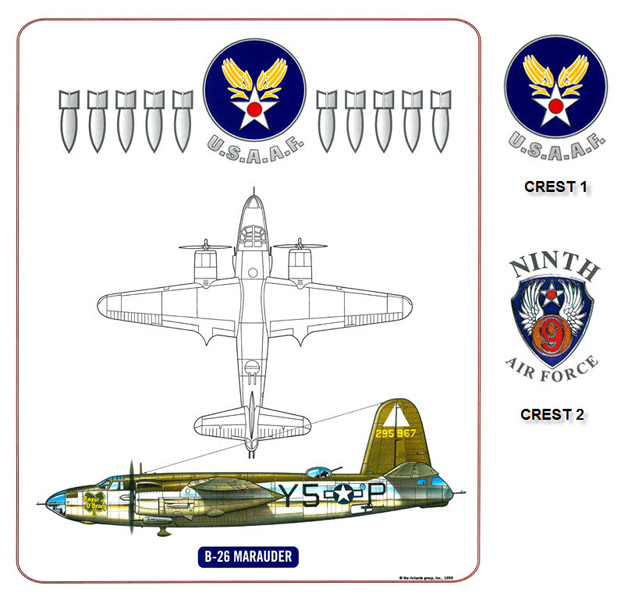 WWII Army Air Forces emblem and aircraft stats. 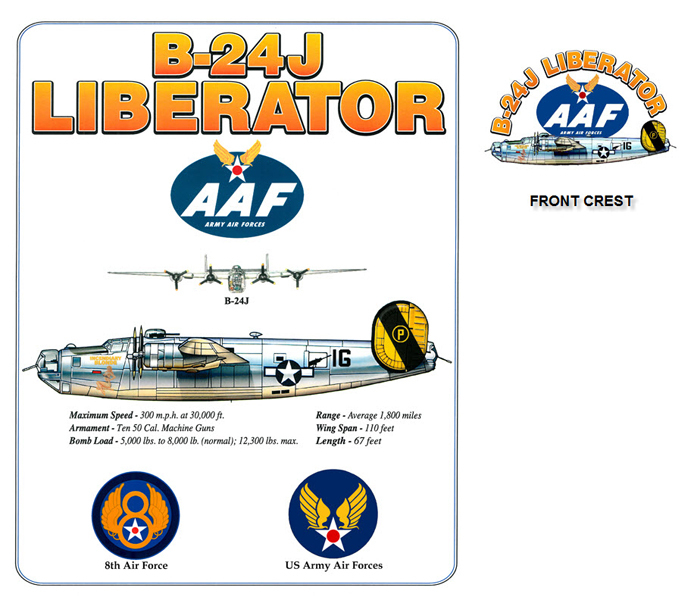 Displays the US Army Air Corps B-24J Liberator. 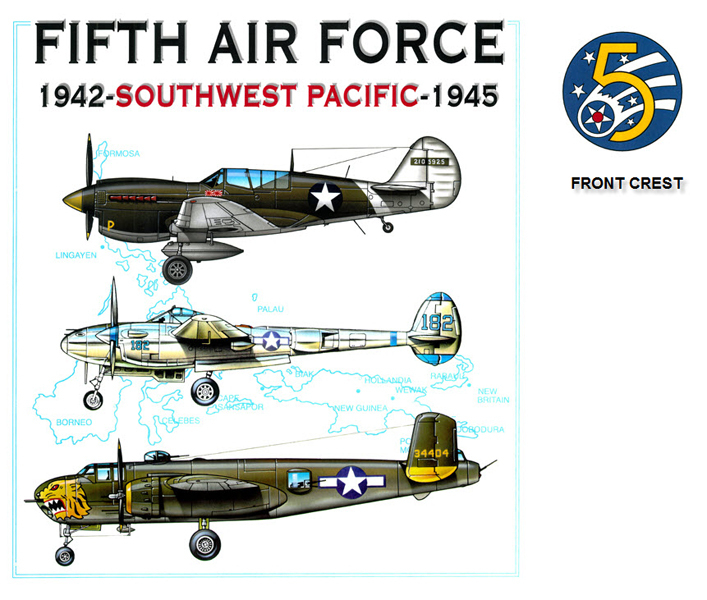 Design features aircraft profile, short history and aircraft specifications. 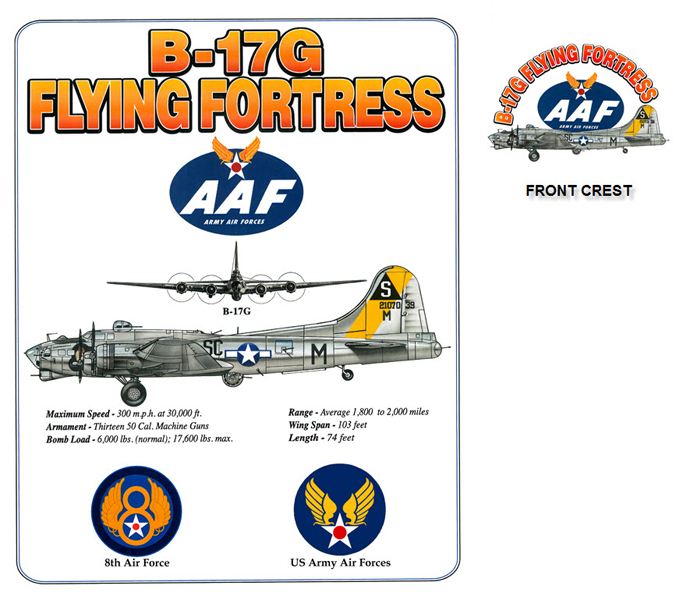 WWII USAAF emblem on shirt front. 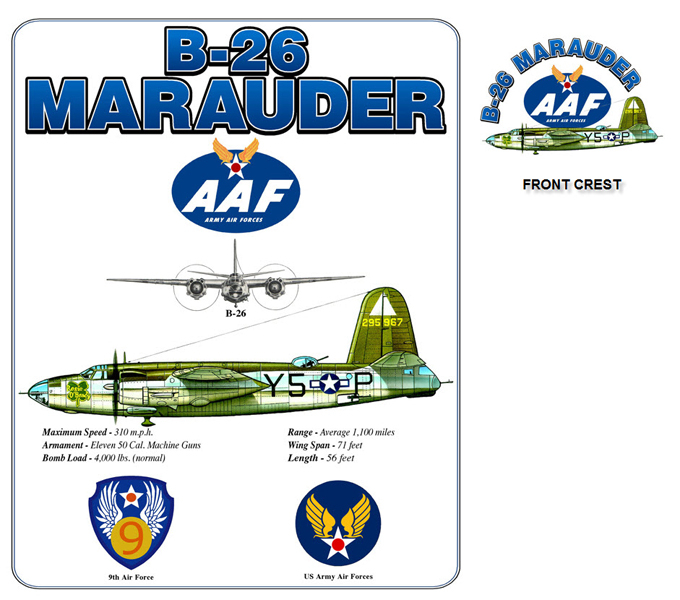 #158 - US Army Air Corps B-26 Marauder. 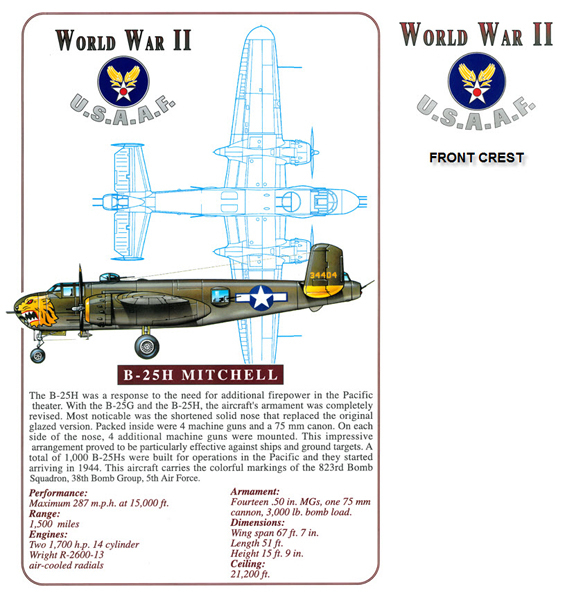 Design features aircraft profile and top view. 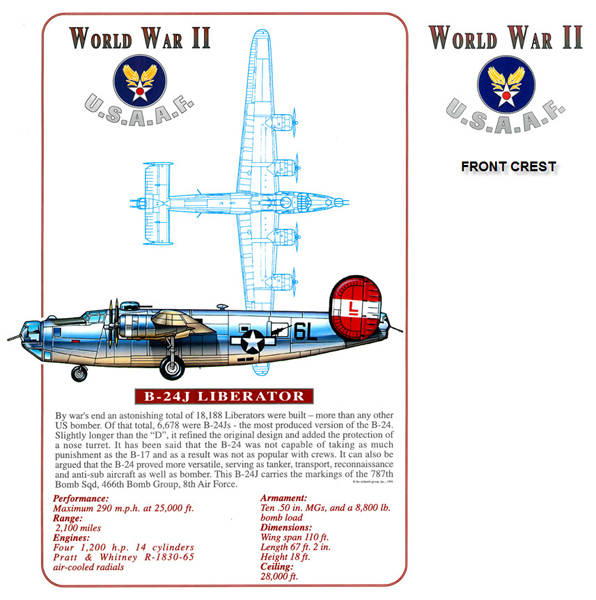 WWII USAAF emblem on shirt front. 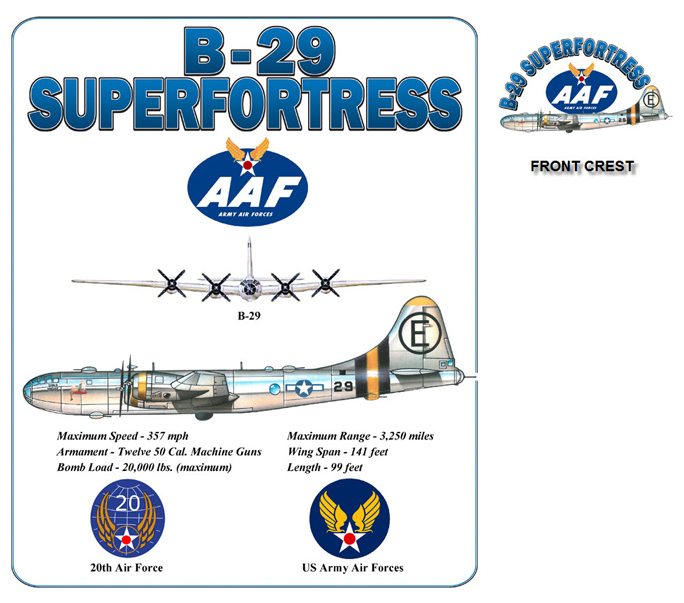 #027 - US Army Air Corps B-29A Super Fortress. 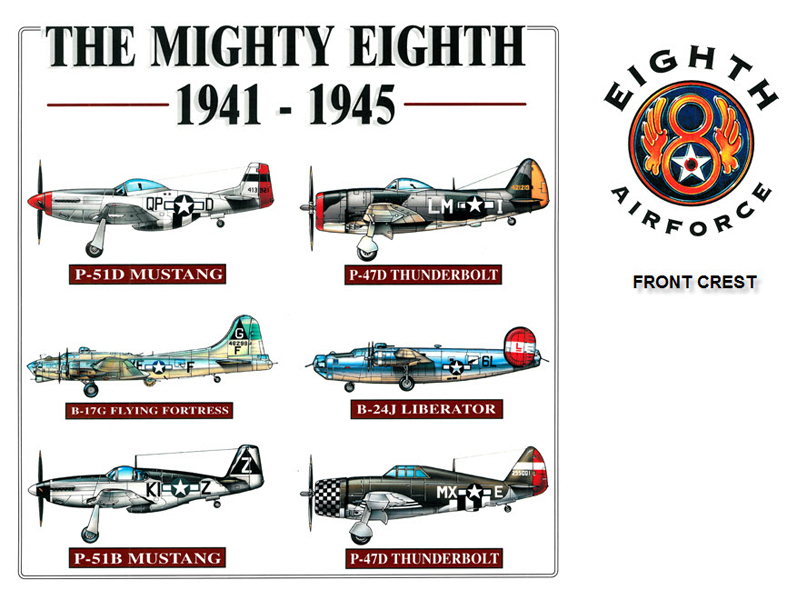 Design features aircraft profile, short history and aircraft specifications. 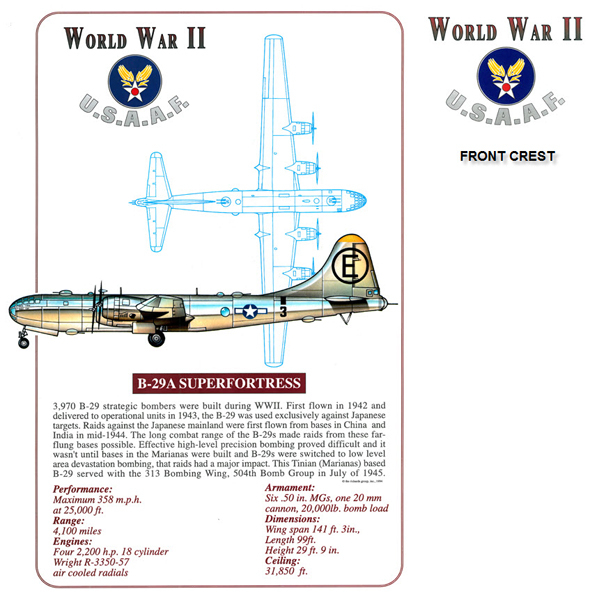 WWII USAAF emblem on shirt front. 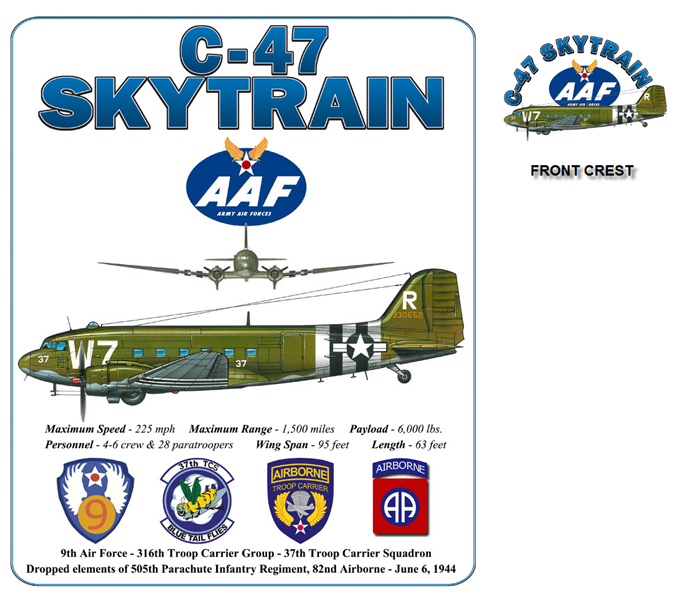 #150 - US Army Air Corps C-47A Skytrain. 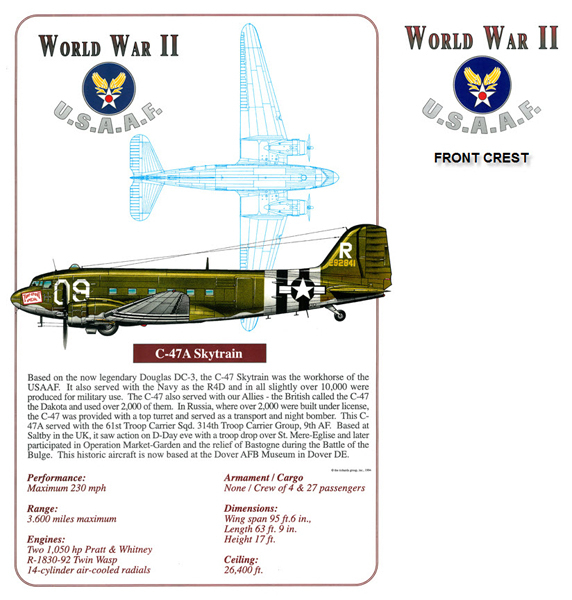 Design features aircraft profile, short history and aircraft specifications. 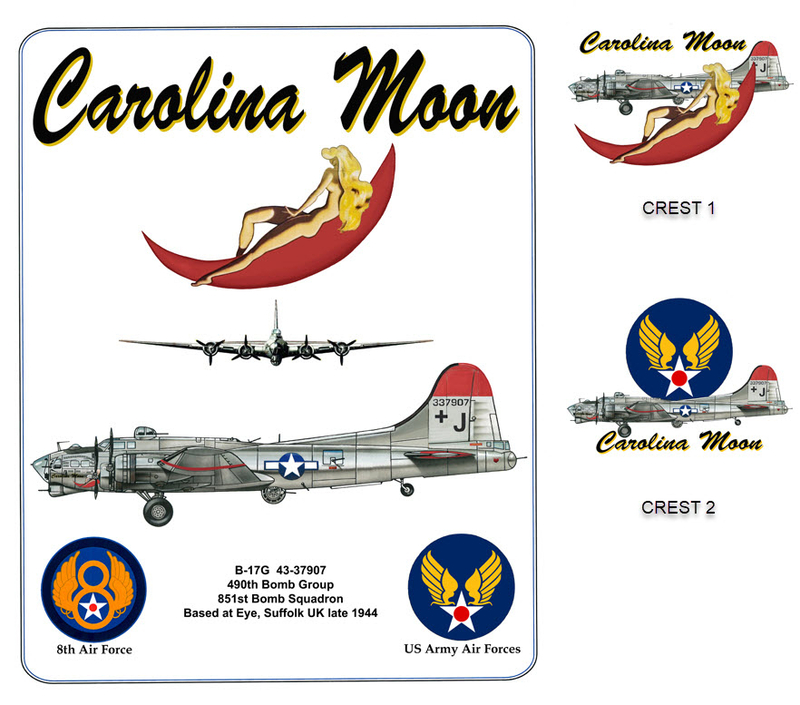 Aircraft profile view, or WWII USAAF emblem on shirt front. 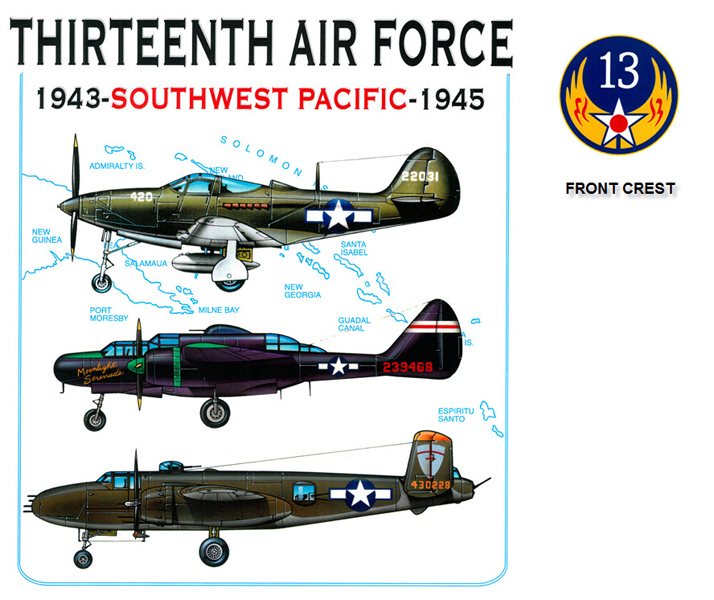 #128 - Three aircraft used in WWII by the US Army Air Corps Fifth Air Force - P-40, P-38 and B-25 Fifth Air Force emblem on shirt front. 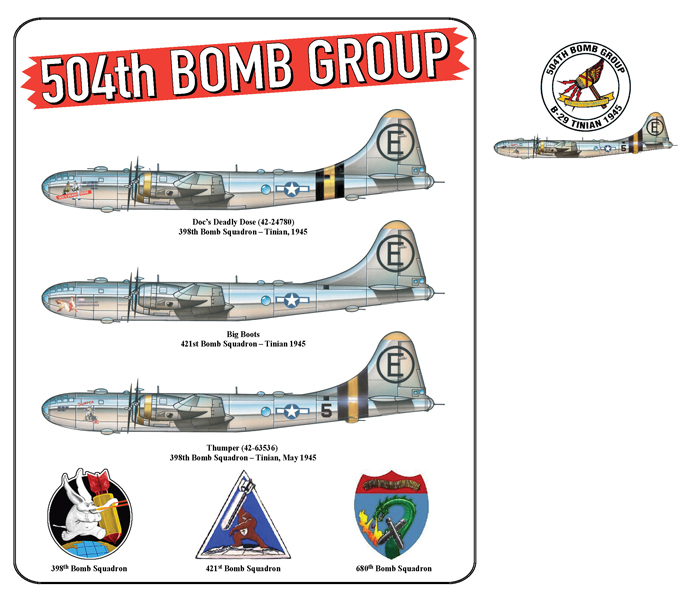 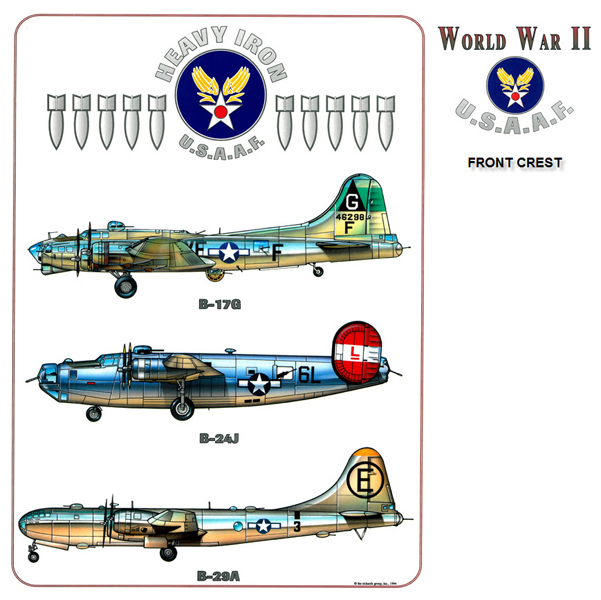 #114 - Three Light/Medium bombers used in WWII by the US Army Air Corps Ninth Air Force. 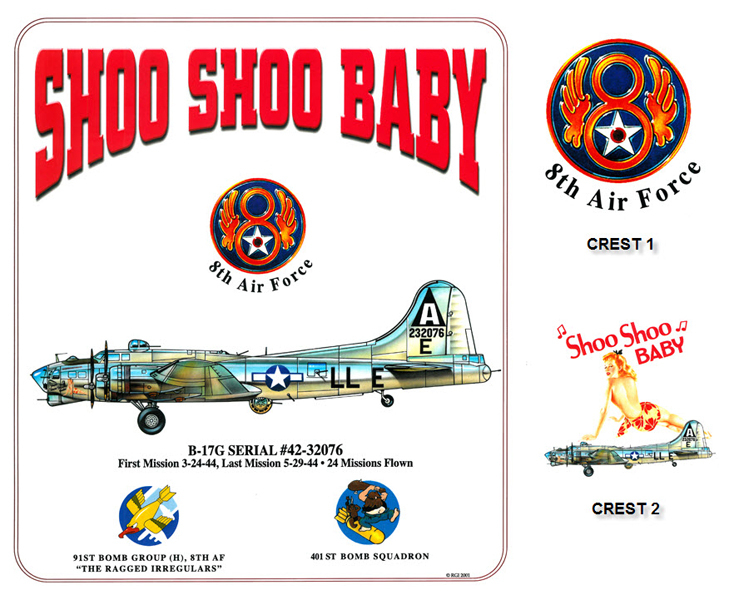 Ninth Air Force emblem on shirt front.